In response to a suggestion from some of the Syrian women we are experimenting with having our Community Meetings on a Friday evening, with no school to worry about the next day. And in response to the fact that many of the families find a 5pm start difficult, by the time children have come home from school, we are now starting at 5.30pm. We are trying various formats for sharing information, questions and ideas but the information part of the October meeting (Friday October 5th) will be fairly formal as it will be a presentation about our education system. Again this is in response to questions that families have posed – such as what do SATs mean and why do we have a 6th form college? 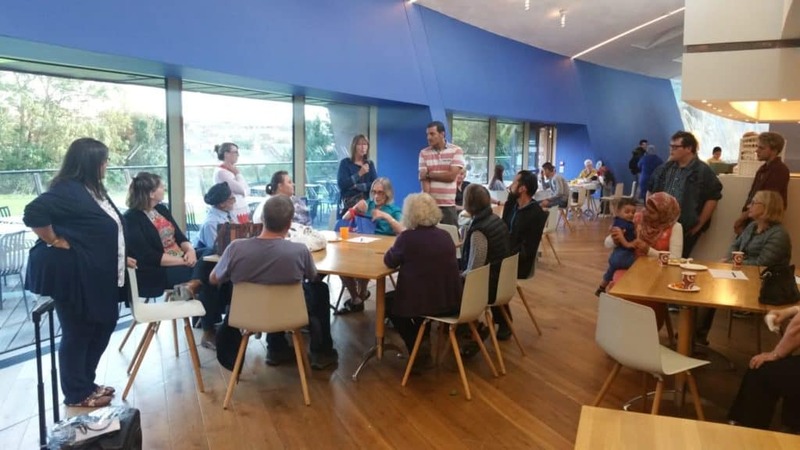 The August and September meetings were busy, informal and relaxed and if anyone would like to become more involved, get to know more people or talk and play with the children, do come along. Please introduce yourselves as sometimes it is easy to get lost in the buzzing atmosphere. We appreciate that Fridays may be more difficult for some of the Colchester Community but it is an experiment worth trying. Meetings are usually the first week of the month but November is the one exception and is currently November 9th.